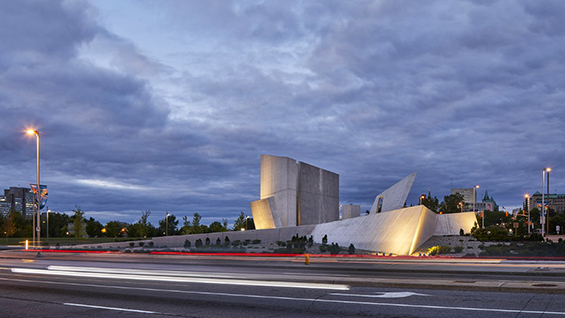 The monument, designed by School of Architecture graduate Daniel Libeskind (AR ’70) and erected in the city of Ottawa, is a series of cast concrete structures that form a six-pointed star. 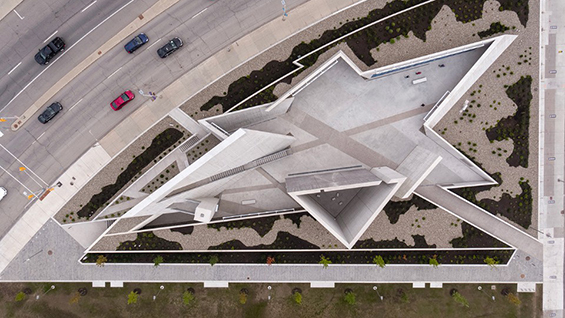 Simultaneously focused on memory and the contemplation of the future, the structure contains the eternal Flame of Remembrance as its central zenith. 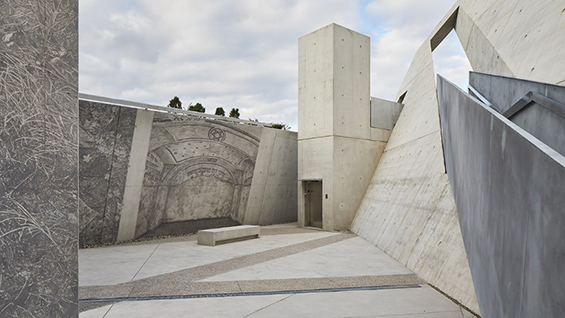 The project is an interdisciplinary collaboration between Studio Libeskind, Lord Cultural Resources, photographer Edward Burtynsky, landscape architect Claude Cormier and Holocaust scholar Doris Bergen.